The 1,500-square-foot University of Alabama Gallery showcases year-round, rotating exhibits of artistic works, artifacts, textiles and more from permanent collections held by the university and created by faculty, students, and guest artists and designers. Previous exhibits have showcased rugs from the Ottoman Empire; international awards and prizes bestowed upon world-renowned scientist and UA alumnus Dr. Edward O. Wilson; colored illustrations of fishes native to the state of Alabama; cover designs of books by UA faculty authors; paintings by contemporary realist and UA alumna Dale Kennington; and more. 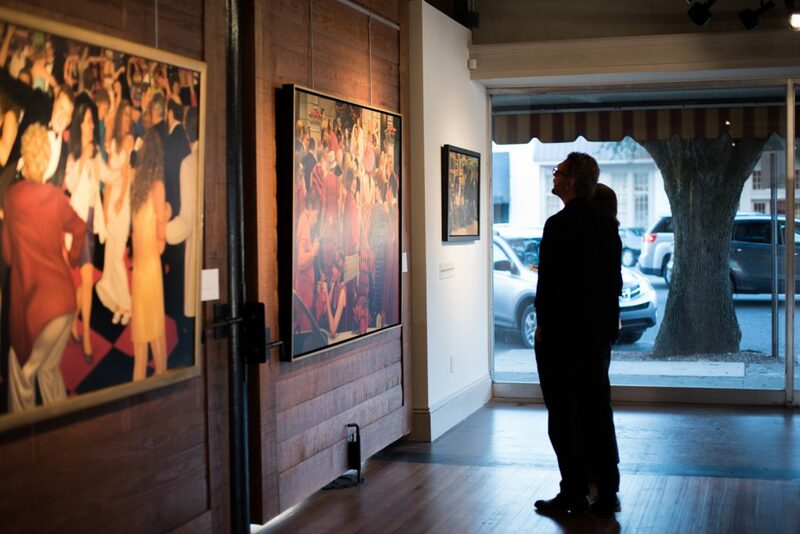 The UA Gallery, managed by the College of Arts and Sciences, was created to support UA and other West Alabama artists and to promote economic development in downtown Tuscaloosa, where the gallery is located. Learn more about exhibiting your work at the UA Gallery.